After 9 years, one of Europe's most successful Light Modified Tractors retires. The Modified Tractor called "Double Screamin" of the Screamin Bobcat Pulling Team from Ijsselmuiden, in the Netherlands made its final appearance at the Indoor Pull in Zwolle last weekend. 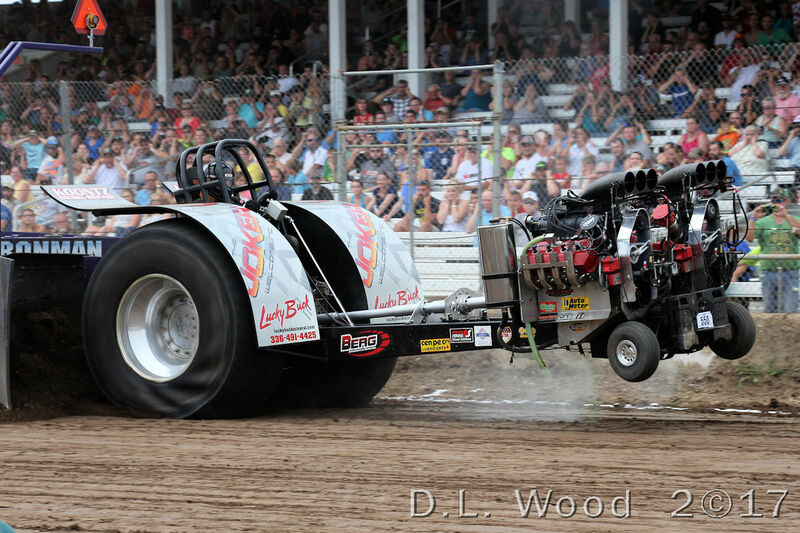 Tractor Pulling announcer Arco Sterk made the last and final run with the Double Screamin'. 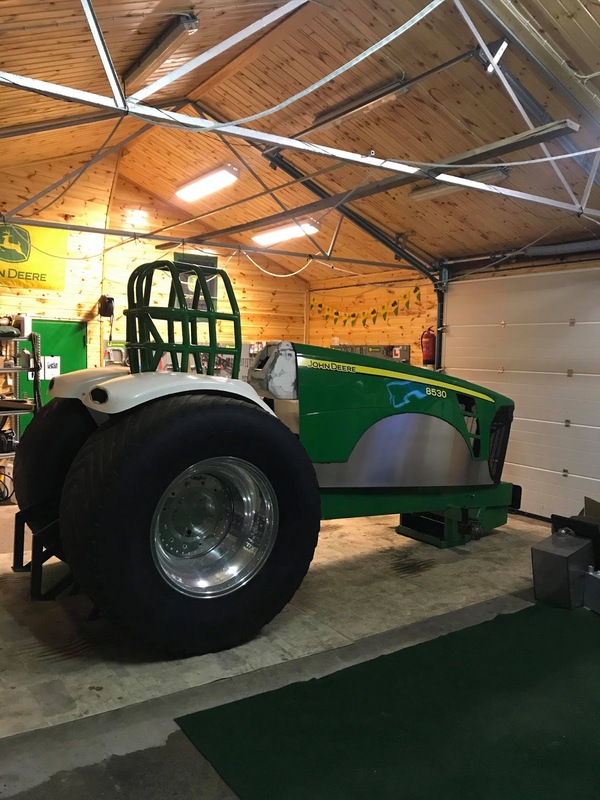 The team around Bertus Boer won 6 Euro Cup and 8 European Championship title in the Light Modified class from 2009-2016 with this Tractor. 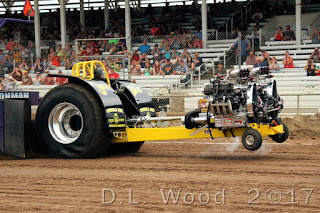 But the Team also was very successful in the 3.5t / 7700lbs. Modified class. They won a couple of Dutch Championships and 2 European Championships in this class. All in all they won 22 titles between 2009 and 2017. But, what will happen with the Double Screamin´? 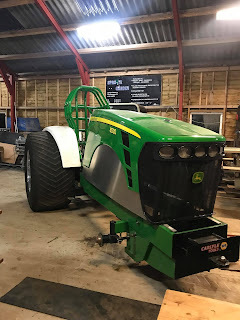 The tractor is sold to more than 1 Team in pieces. After the sale, the Screamin' Bobcat Team have new plans for this year. 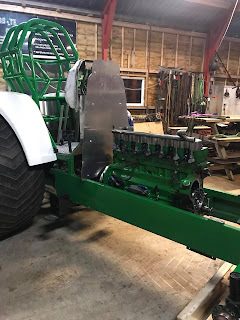 We will see, what rolls out of the Screamin' Bobcat workshop in 2018. Thomas "Tom" Beattie, from Garstang in Great Britain. Thomas is one of the most known Tractor Pulling announcer in the UK. 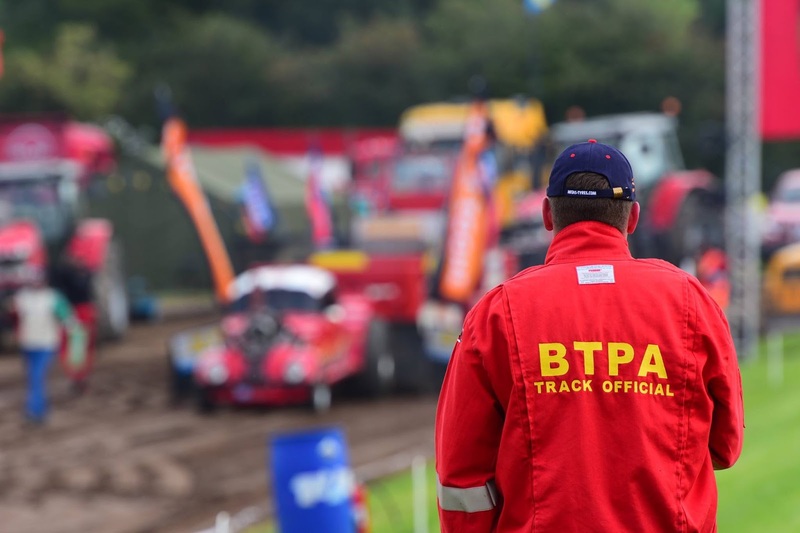 His late father Steve Beattie also was an Tractor Pulling announcer on BTPA Championship rounds. 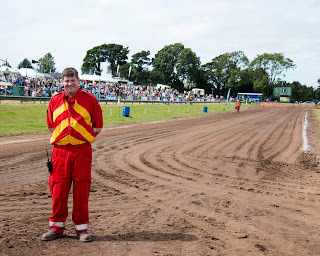 Tom also is a Team member of the BWA Pulling Team (Desperate Dan & Little Dan) and the chairman of the NWTPC who orgainise the Tractor Pull in Great Eccleston. Thomas Beattie: I work as a production manager for a Sound, lighting, Av hire, sale and events company in the entertainment industry. 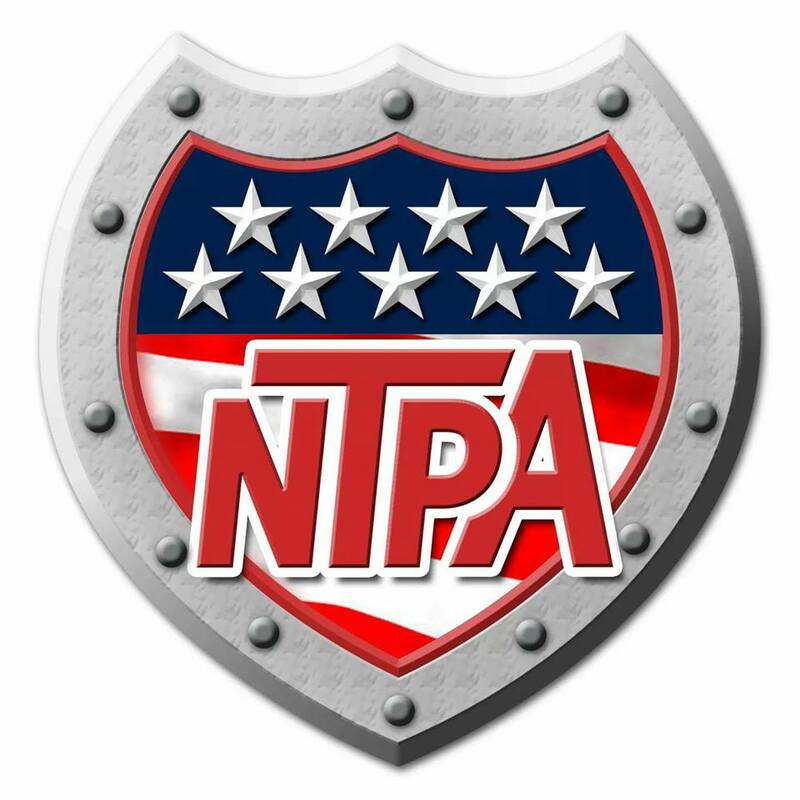 Looking after events large and small over the country. Thomas Beattie: Spending time with my wife and my young children. pullingworld.com: What do you like about Tractor Pulling? Thomas Beattie: The royal show Stoneleigh (GB) 1982 (8 months old). Thomas Beattie: Well it has to be Great Eccleston (GB)!! 😉 But if I have to pick one that’s not my home one.. I have a soft spot for Zwolle (NL) and Made (NL). Thomas Beattie: I never have ☹ but there is time yet.. Anyone wants a hired gun I will have a go, and maybe do it with a microphone on me ! Thomas Beattie: Being chairman of the committee that organized the 2016 European Championships. Thomas Beattie: I like all the classes but the Mod classes are where my heart is. 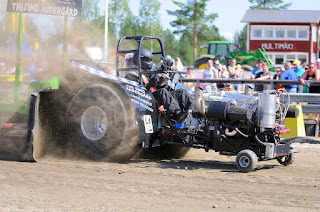 pullingworld.com: Which things must be changed in the future of the Tractor Pulling sport? Thomas Beattie: The Modified limits / Class need fixing Quick we have already lost to many fantastic machines, the problem is not a new one and has been getting worse not better we need to act soon to try to fix it. You can never stop the team with the most money being at the top, but every team should feel like they in with a chance of winning. 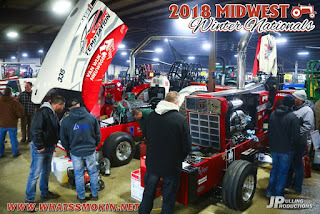 pullingworld.com: What are your plans for the future in Tractor Pulling? Thomas Beattie: Keep developing the Great Eccleston Event to be the best it can be + help to increase the profile of Pulling in the UK and Europe the best I can. Nr.1- 2005 Desperate Dan winning the 4.5 Mod class European Championships at Great Eccleston (GB). I helped spanner with that team for many years and to be stood side of track with my late father commentating on Desperate Dan winning a tight fought class.. It was something special. Nr.2- 2009 Little Dan winning the Mini Euro Cup at Great Eccleston (GB) again the Team I helped with, this time commentating on my own. Trying to stay neutral and shout the same for every Tractor going down the track was hard that class 😊. Thomas Beattie: Every project that brings a new machine into our sport 😊. Thomas Beattie: Just a big thank you to my wife and children who support me ! pullingworld.com: Thank you for your time and good luck this year ! 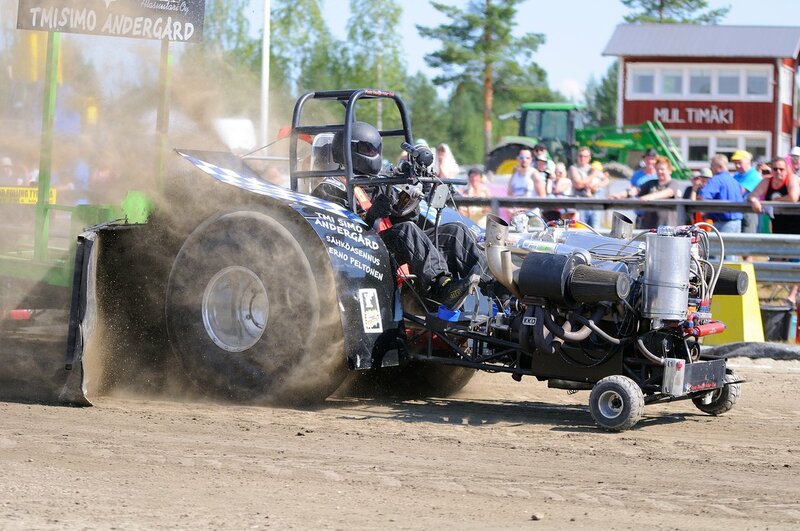 In the Winter of 2015, one of Finland's craziest turbocharged Mini Rod Tractors got a new home in mid Europe. Owner Simo Andergard from Finland sold the Tractor completely to a new Team in Germany. 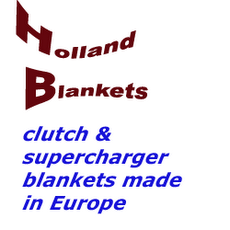 The Mini was purchased by Dieter Höppner from Anholt in Germany. 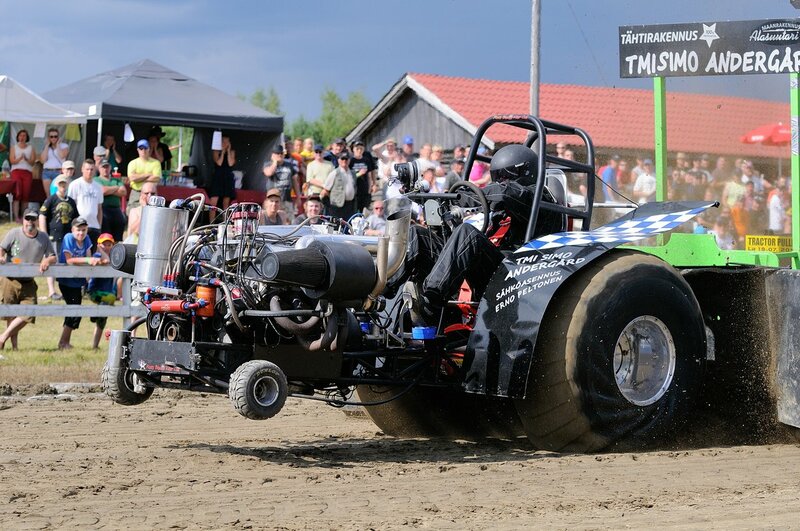 Dieter Höppner, together with his son started with Garden Pulling in the 500kg Modified division in 2015. After a year in Garden Pulling, he decided to make a step into Mini Modified Pulling in Germany. The Another Grave Digger underwent some changes and improvements during the last 2 years. 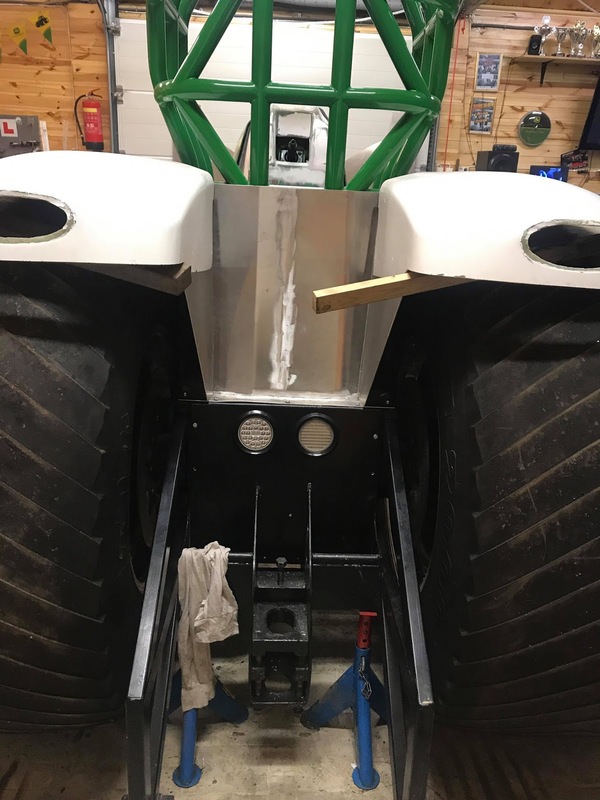 The Mini Mod has a 42CrMo4 tube frame with a 42CrMo4 Rollcage, a homemade steering, a Volvo rearend and homemade GFK fenders. The new Team changed the drivers position on the Vehicle. The drivers position is 250mm more forward and the center of gravity is lower. Also the Ford engine sits 250mm more forward now than before. The Grave Digger Team hopes to get a better balance with the Cepek tires with those changes. The rear wheels are a set of used aluminium rims with used Cepek tires. The Volvo rear axle has a Volvo stock center section with a special built aluminium differential, a Rockwell ring and pinion gear and special made shafts. The Mini also has a Lenco reverser with a homemade driveline and a homemade 5 disc centrifugal clutch with an aluminium bell housing. The Another Grave Digger is powered by a 598 cui. Ford V8 engine with 2 turbochargers on methanol. 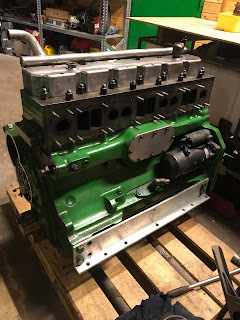 The Ford engine has a 460 Ford Racing A block bored up to 598cui. with Trick Flow Ford cylinder heads, Roller camshafts and Venolia valves, a billet crankshaft with BME aluminium rods and Venolia pistons, a homemade intake and exhaust manifold, 2 Master Power turbochargers, a home made aluminium fuel tank, a Veldhuizen Special Product injection system, a Enderle 110 fuel pump, a Moroso belt drive oil pump, a MSD ignition and a Master data logger. 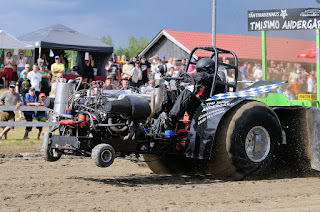 The maiden run under german flag of the Another Grave Digger was normely planned for the 2017 Season, but several technical problems made it not possible to make a pass in front of the Sledge. The Team are currently working on the Mini Rod to get those problems solved for upcoming season. The Team around Dieter Höppner have planned to compete in the German Championship in 2018. First time on the track for the little Red Devil in Australia after it was imported from Germany. Job well done by the team! Stefan Schwarz, 29 years old from Oberharmersbach, in Germany. Stefan is the driver of the Mini Mod Tractor called ,"Ghost Buster 5". He is the son of the former Mini Mod driver Eugen Schwarz and the nephew of Helmut Schwarz (former driver of Ghost Buster 1, 2 and 3). 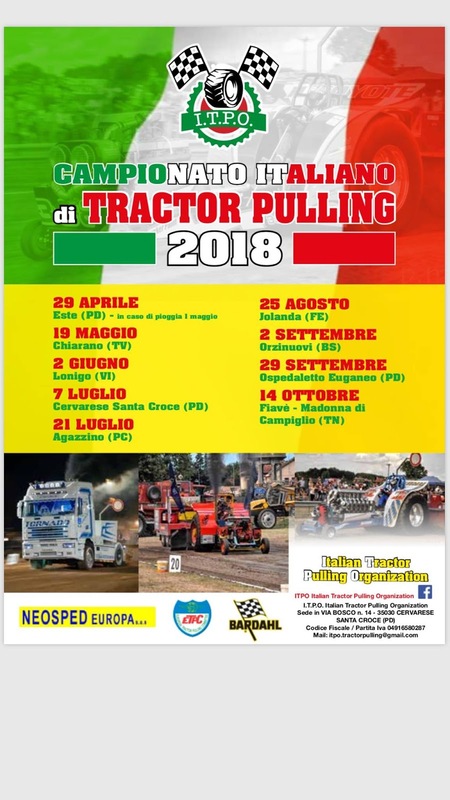 Stefan is also building Pulling parts for other Teams in Europe. His brother Matthias and his sister Katrin are also drivers of the Ghost Buster Mini Mod Tractors. 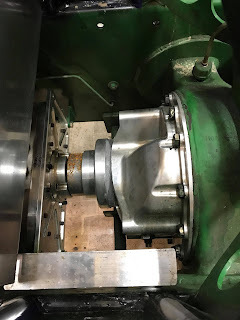 Stefan Schwarz: There is not much free time, otherwise I work in my small company (producing lathed- and milled parts), of course meeting friends and when it's Sunday time I also like to go watch Kart Racing. Stefan Schwarz: The huge variety of different drive systems, which makes every Tractor something special. Stefan Schwarz: I'm not sure (it's been so long ago :-D), but it must have been Eschach-Seifertshofen (D) in 1992. Stefan Schwarz: In Germany, Füchtorf belongs to the most popular event, international of course Made (NL) and I would like to go to Bowling Green (USA) once. pullingworld.com: When and where have you driven a Pulling Tractor for the first time? Stefan Schwarz: My first event which I drove was in Schmachtenhagen (D) in 2004, but sadly I left the track just before the Full Pull. Stefan Schwarz: My greatest success was the German Championship title 2009. Stefan Schwarz: I like to watch all classes, with my enthusiasm of the 2,5t Light Modified being the highest. Stefan Schwarz: The big engine failure at Ghost Buster 4 in Anholt (D) 2017. Stefan Schwarz: I hope the National Federations find a solution to the weight limits of the Heavy Modified, because unless a long-term solution is found soon, I see the class dying out, which would be a pity for the "premier class". Stefan Schwarz: There were many important moments, because every victory or title was a special moment, but the most exciting was of course the first engine start of the new Ghost Buster 5. Stefan Schwarz: The most important / most special project was certainly the construction of the Ghost Buster 5, but that was 2 winters and 2 summers ;-). Through all the work we had this time, starting from the CAD design of the whole parts to the parts programming (CAD / CAM) to the production of the parts, you have learned things that you can finally be a bit proud of because you can say: We have done everything ourselves from A-Z. Stefan Schwarz: I find it admirable to see how teams help each other, whether through project design advice, borrowing parts and tools or by active support in case of problems, when it is burning there is always someone there who helps. 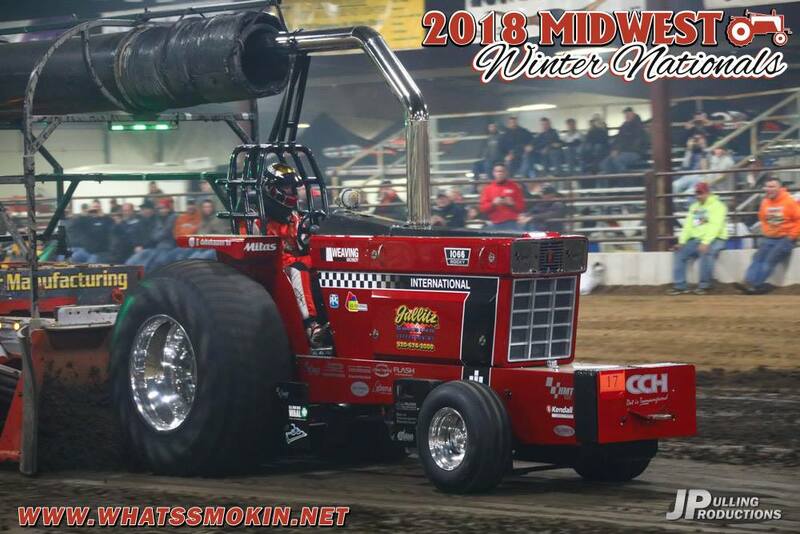 Without this community of teams, the sport would certainly not be what it is today, and Tractor Pulling Sport is also admired by other sports. 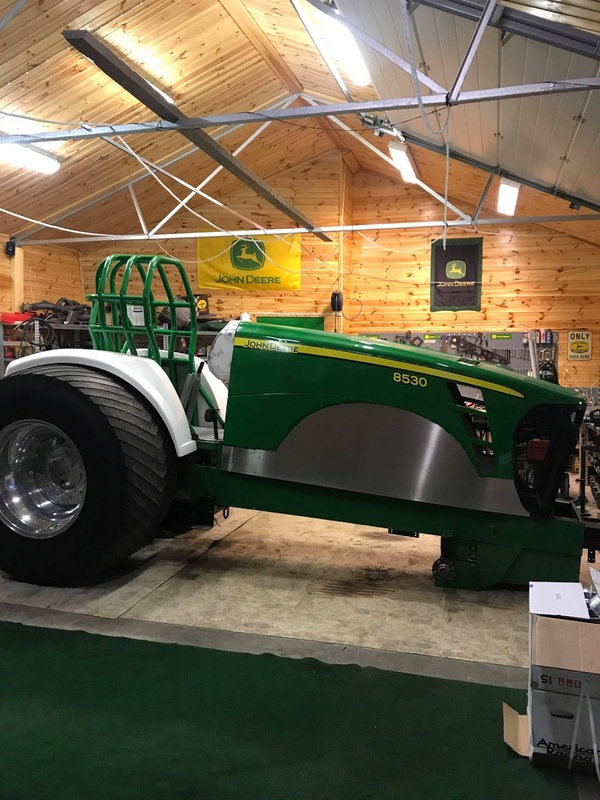 The Loaded Deere Pulling Team around Soren Naerland from Bryne, in Norway are currently building a new John Deere Component Diesel Super Stock. After lots of problems with the old John Deere 4440 Diesel Super Stock tractor, especially with the durability of the original John Deere rear end, Soren and his team decided to build a new Component Super Stock tractor. The new JD gets a Karlen Motorsports chassis with a Karlen Motorsports Rollcage, a hydraulic steering, an original 8530 John Deere sheet metal hood and a Rockwell rear end with Humpco parts. 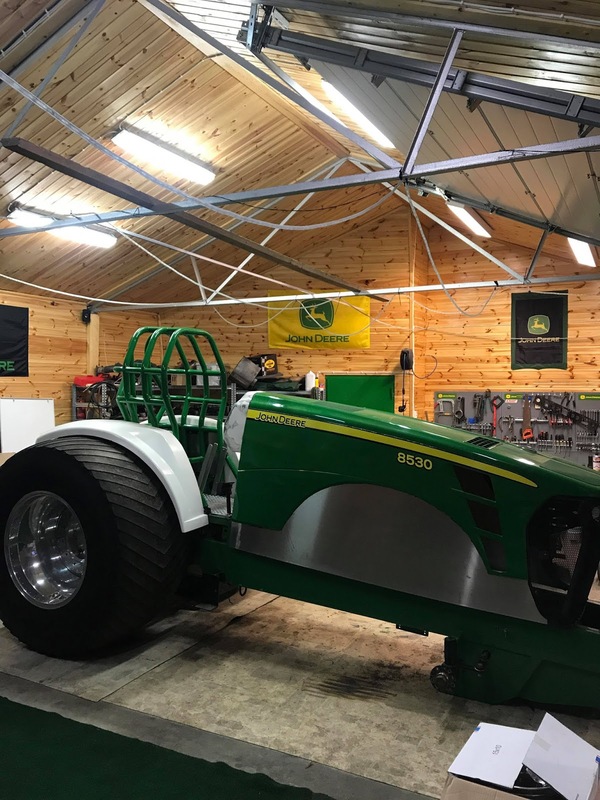 The 8530 hood comes from the USA and the new rear glass fibre fenders were built by the John Deere Pulling Team from Hurup, in Denmark. 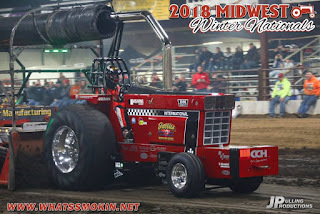 The Karlen Motorsports chassis was the old chassis of the JD Component alcohol Super Stock Tractor called ,,Fully Loaded´´ of Jeff Hothem from Dellroy, Ohio in the USA. 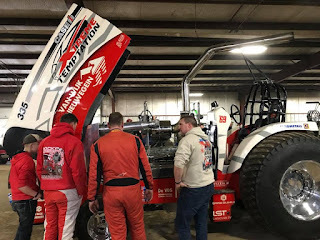 The Norwegian Team purchased the wedge chassis in the spring of 2017 from Jeff Hothem. 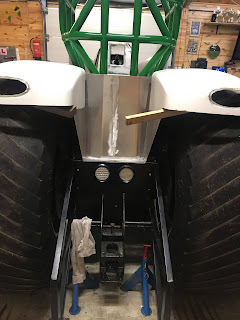 In the package were also included the complete Rockwell rear end with the Humpco parts, the transmission and the JD 8530 hood. 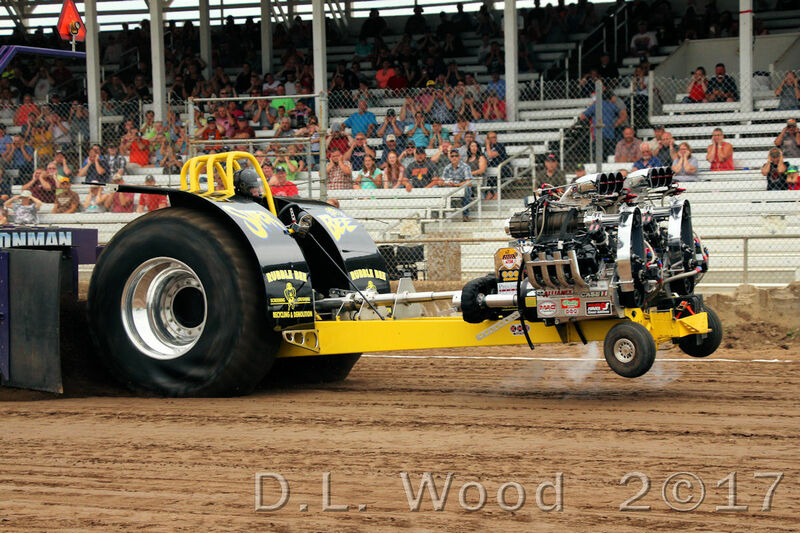 The new Super Stock also gets a set of used Midwest aluminium rims with cut Firestone Puller 2000 HP tires. The tires are 2 years old and were cut by Steen Dam in Denmark. 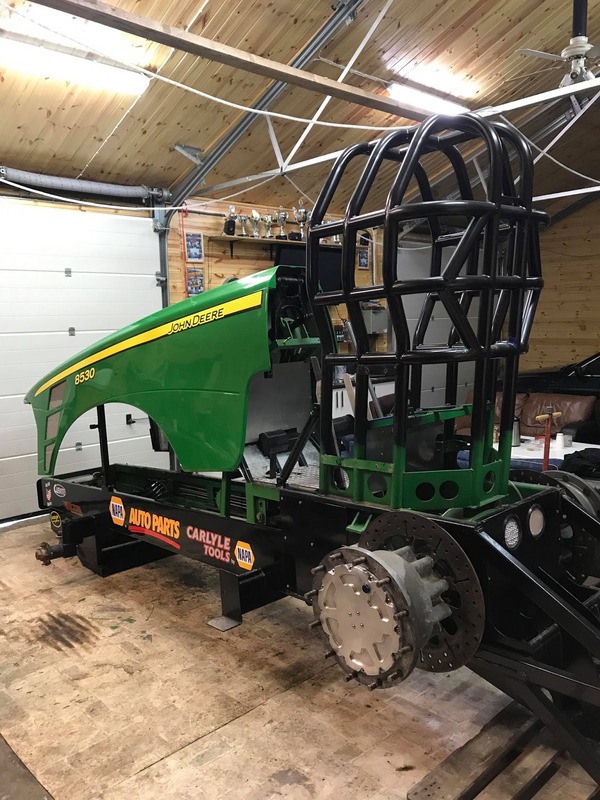 The rear wheels come from the old 4440 Loaded Deere. 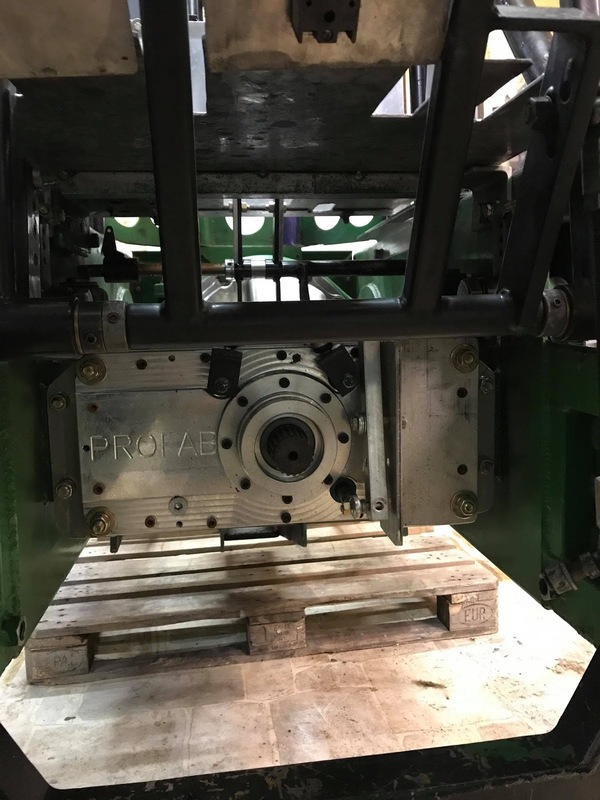 The Rockwell rear end has a billet Humpco aluminium center section with a Humpco billet aluminium diff, a Rockwell ring and pinion gear and Franklin magnesium planetaries carrier housing with Franklin planetaries. The new ride also will have a Profab 4 Speed HD transmission with a homemade driveline, a B&B 11 inch centrifugal clutch with 5 disks and a Browell clutch bell housing. The new Loaded Deere has a 6 cylinder John Deere 6466 engine with 586cui. / 9.6l capacity. The engine will be running on Diesel fuel with a 4 charger setup in 2 stages. The power plant has a 6466 JD block with 124mm bore and Darton sleeves, a billet crankshaft, billet rods by Riverside and GMS (Gene's Machine Shop) billet pistons, a homemade intake and exhaust manifold, 4 Holset turbo chargers, a homemade intercooler, a billet Riverside steel cylinder head with 2.5´´ inch titanium intake and 2.05´´ inch Inconel exhaust valves, a Riverside billet steel camshaft, a Aviaid oil pump, a 17mm billet Columbus Diesel fuel pump and a Racepak data logger. The Norwegian team will compete in the Norwegian Championship this season. The maiden run of the Component Diesel Super Stock Tractor is planned for the first National Championship round in the end of May 2018 in Bryne, Norway. A tough weekend with a lots of damages and bad luck our 2 European Pro Stock Tractors called "Rocky" and "Extreme Temptation" had in Gifford, Illinois in the USA. 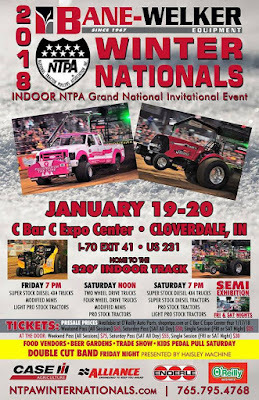 The two Dutch teams went with high expectations to the Indoor Pull in Gordyville, but the first outing on US ground ended in a big disappointment. On wednesday, a day before the event started, both crews made a test pass in the Gordyville hall, but it wasn't a problem free day. First Extreme Temptation blew up its turbo after a few feet and Rocky after his nice test pass had a damage at a pipe on the intercooler. The Extreme Temptation Pulling Team drove back to the workshop of the Gallitz Pulling Team and repaired the damaged turbocharger. Also the Rocky Team could fix the problem on the pipe of the intercooler after a few hours of work. On friday, William de Vos got another chance to make a test run during the event. This time, the test pass was trouble free and without any damage. The saturday for both Dutch teams things went from bad to worse. First in front of the sledge, was the European Champion Extreme Temptation with William de Vos in the hot seat. But, he didn't really get away from the start and the IH engine shut off. 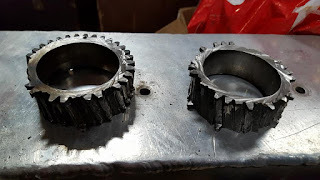 Back in the pits they found some broken timing gears on the engine. That's why the engine all of a sudden shut off. Another start wasn't possible. The last hope of the European fans were the Rocky Team. Driver Barend Huijbregts made a good start, but after 30-40 feet, the power of the engine went down also and the engine sounded like something wasn't 100% correct anymore. Only 73.440 feet for the reigning Dutch Champion of 2017. Back in the pits, they surprisingly found the same damage under hood as before on the Extreme Temptation: Some broken timing gears. Both crews couldn't believe that, they never had those problems before in Europe. A few days later in the Gallitz workshop in Jefferson, Wisconsin, both engines were dismantle and checked. They also found some bent valves in the heads and some other small damages on the power plants. A lots of work before the next Indoor Pull in Louisville, Kentucky. 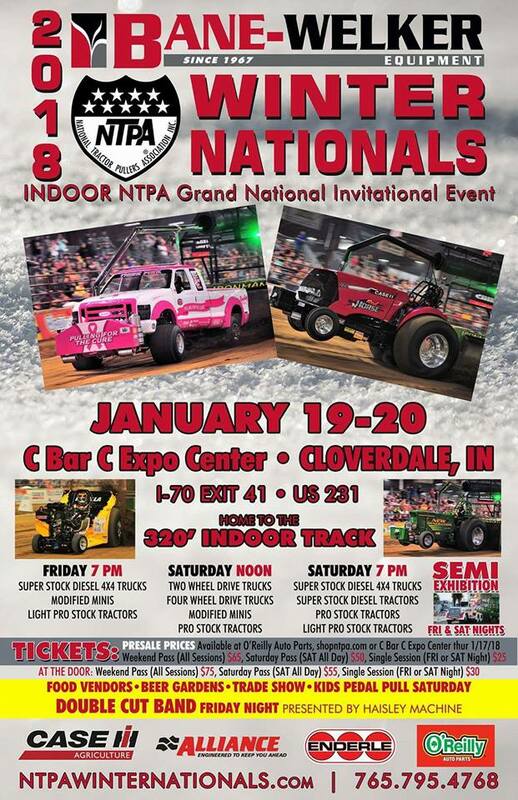 Hopefully the Extreme Temptation and the Rocky guys have more luck at the NFMS Pull next month. Erik van Oosterhout, 48 years old from Made, in the Netherlands. 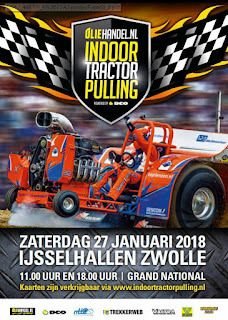 Erik is one of the most known Tractor Pulling announcers in the Netherlands. 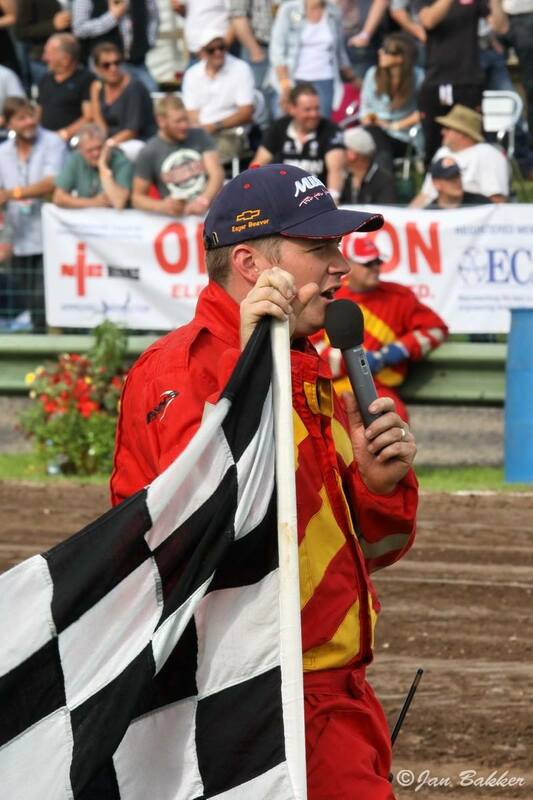 He's announcing almost all Dutch Grand National Championship rounds in the Netherlands. 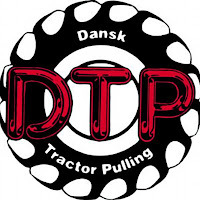 Erik also is one of the organizers of the biggest Tractor Pulling events in Europe, his home pull in Made. Erik van Oosterhout: I’m a dairy farmer. My wife Lisette and I are milking for about 95 cows together with our sons Nick (12) and Ron (10) and with the help of Family and some employees. The Farm is called ‘Kaasboerderij ‘t Bosch’ with means in English we’re a cheesefarm. A small amount of the milk is processed on the Farm to Farmhouse cheese and we sell it to customers in the Farmshop. For tourists we can do tours on the Farm and we’re specialized in Christmas gifts, all related to cheese and farm produced stuff. 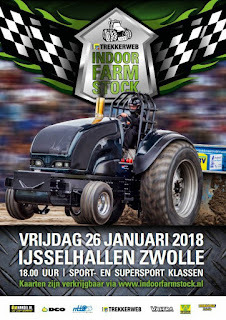 Erik van Oosterhout: Not too much, farming gives us more than a week work and Tractor Pulling comes on top of that. Made's Powerweekend is held on our own property, so it takes some weeks around the event and to plan the work and Farm around it. Erik van Oosterhout: Well… everything, mostly the crowd, the people. But the teams , different events, different opinions, I like it all. Being an announcer is a marvelous job, but promote an event like Made with the rest of the Powerweekend Group is just great. Erik van Oosterhout: Flevohof (NL) 1978. Erik van Oosterhout: Bettborn (LUX). But we try to learn from all other events. Of course I really enjoy our own event. 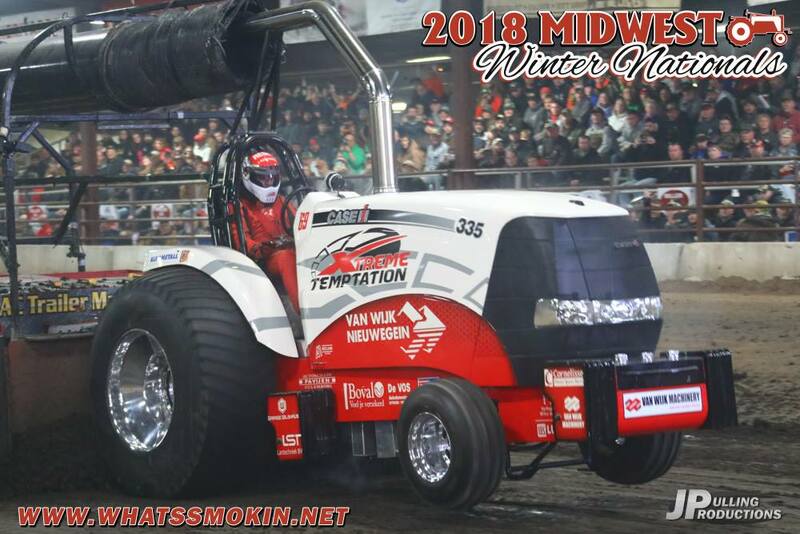 Erik van Oosterhout: I pulled once or twice in farm stock with farm tractors, and once I pulled a Pro Stock, great feeling. Erik van Oosterhout: A few titles as a Pomotor of Made, of course with the whole group. And we got a place in the "Hall of Fame" of the NTTO last year. Great honor. 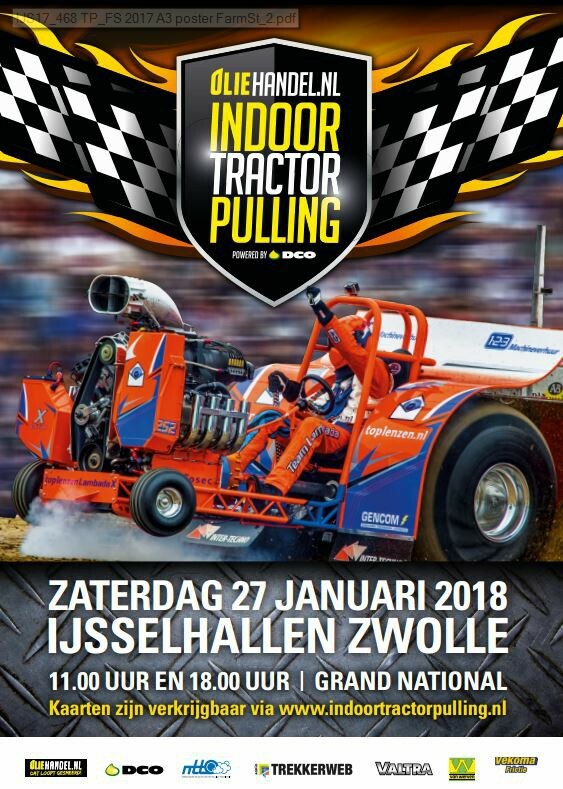 Erik van Oosterhout: As a Farmer I really like the hood classes, it gives you the most powerful feeling you can imagine as a tractor driver yourself. For the sport I like the Modified classes, especially the Light Mods with lots of various engine types. On the other hand I like to drive my Pick Up Truck, so I have something with TWD too. Erik van Oosterhout: We had to cancel big parts of our weekend once due to very bad weather, very difficult to recover from a disaster as a promoter. Erik van Oosterhout: Most important thing is that the crowd comes and leaves the event with a very happy feeling, that gives us legislation to promote a new one. Further on it’s always good to have classes where new teams can start their career with a smaller wallet and lots of fun. Erik van Oosterhout: Just keep up the work with announcing and promoting, great things in my life. Erik van Oosterhout: Some special runs kept in my memory as well as some special people that came in my life because of the sport. Erik van Oosterhout: About every winter I work on one of my own Deutz farm tractors here in the shed. But as an announcer, I like to drop in the workshop at several teams to see and hear what they are doing and improving. Erik van Oosterhout: Please keep the sport as an hobby for all of us. Of course show it professional but do know that almost nobody can live from it. Just see it as a party when we’re all together at a Pull. Play hard- party hard. And, when I say something on the microphone you probably know better, please tell me and we tell the crowd so the good information is shown. It’s just great to have so much friends in Pulling and feeling at home at almost every track over Europe. Special thanks to my colleagues and not to forget the PA people for the best support. pullingworld.com: Thank you for your time and good luck for the future!